This past weekend I was wandering around the Gatesvill Walmart with my friend Theresa and while we were in the craft section I spotted “The Knook” It’s a bamboo crochet hook with a hole drilled in it and it comes with what appears to be a nylon cord as well as an instruction/pattern book. On the cover of the book it says “Now you can knit with a crochet hook.” Well! 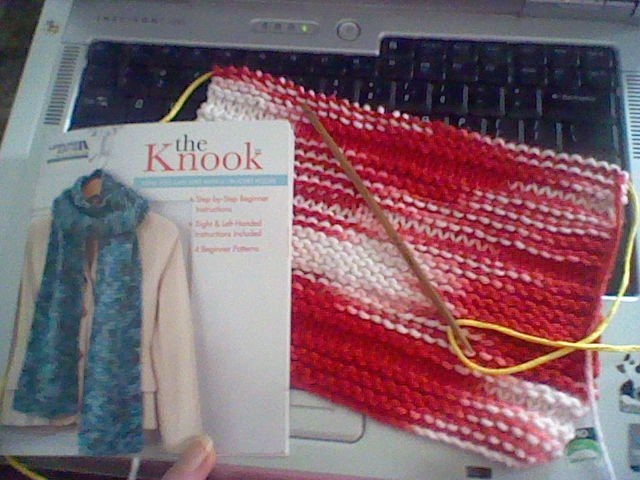 You know me, anything having to do with knitting or crochet, and I want to learn more. So, since it was in my price range I bought it. They come in a package of three for about $6.